First published in 1987, this title tracks the spy thriller from John Buchanan to Eric Ambler, Ian Fleming and John Le Carré, and shows how these tales of spies, moles, and the secret service tell a history of modern society, translating the political and cultural transformations of the twentieth century into the intrigues of a shadow world of secret agents. Combining cultural history with narrative analysis, Cover Stories explores the two main traditions of the thriller: the thriller of the work, in which bureaucratic routines are invested with political meaning; and the thriller of leisure, in which the sports and games that kill time become a time of dangerous political contests. 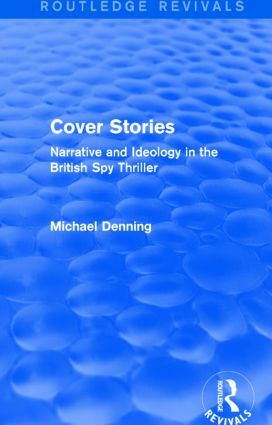 Examining the characteristic narrative structures of the spy novel – the adventure formulas and the plots of betrayal, disguise and doubles – Denning shows how they attempt to resolve crises and contradictions in ideologies of nation and empire, and of class and gender.